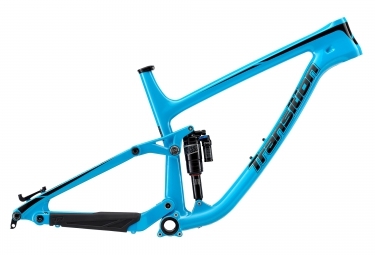 Frame size : ¿Qué talla elegir? However, depending on your body and your practice, you may need to take one size above or below will be. Please, contact us for more informations. The Patrol Carbon is the highly anticipated premium option to our well regarded aluminum Patrol. All the great features of the aluminum Patrol with a large reduction in weight and no compromise in strength. The carbon front triangle, seatstays and chainstays provide a crisp and responsive ride with excellent trail feel. Featuring all the same geometry and GiddyUp suspension the Patrol Carbon is even more capable up and down mountains. The fully guided internal cable routing for rear brake, derailleur and seatpost are easy to use and rattle free. The collet main pivot keeps the rear end stiff and the threaded bottom bracket is a mechanics dream. With around a 600 gram weight savings over the aluminum Patrol the Patrol Carbon climbs like an E-bike, and descends like a downhill bike.